Being romantic is mostly associated with love, and often reduced to having dinner by candle light or offering roses, but there is a lot more to it than romantic comedies suggest. Why? Because it is full of strong emotion and breaks all the rules. More specifically, this painting has an original style that goes against the techniques and values of the Enlightenment (1670s-1770s), the period before the Romantic Era (1770s-1870). Also known as the Age of Reason, the Enlightenment emphasized the work of the mind, logic, and the expression of general truths in a restrained and balanced way. Romanticism developed as a reaction to those values and to the first effects of the industrial revolution. Strangely enough, the word Romanticism itself suggests that it comes from the countries of the Roman languages stemming from Latin, i.e. Italy, France, Spain, Portugal, and Romania, but the movement was in fact strongest in Germany and England, where the Romantic values first appeared in literature, painting, and music. Romantics emphasized the expression of individual feeling and imagination. They also considered Nature not as a great machine of mathematical precision, but as a great power that speaks to the human heart. 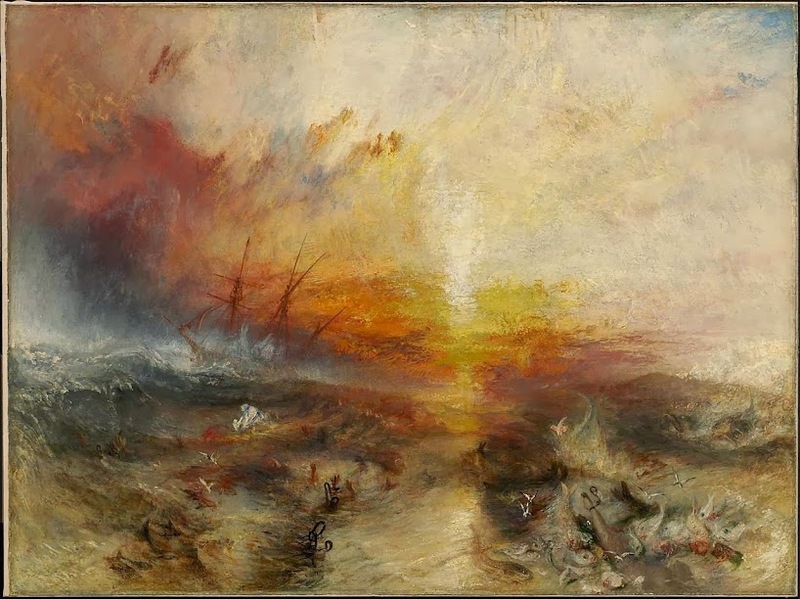 This feeling of the great power of Nature, so much bigger and stronger than humankind, is known as “the sublime,” which can be seen in Turner’s painting. The key difference is this: Enlightenment artists spoke from the head in a public voice about general truths, whereas Romantics spoke from the heart in a private voice about personal feelings. They also relied on the power of their imagination to produce works of originality. Being romantic may today be associated with love, but in fact it concerns the expression of all feelings and the product of one’s imagination, shared in a personal style. So when you feel like it, speak from the heart about your own truth. Express what you feel. Let your imagination go wild. Be Romantic.